Design to simulate a pickup coil at different RPM to test CDIs, Tachometers, Power valves and ignition coils. Version 2.3 is free to use, version 3 and above are only available for sale. – The simulator will forever sweep the range 1000 to 30000RPM in 30 seconds. – You can switch from SWEEP to MANUAL mode anytime by pressing a button. – You can select RPM manually from 1000 to 30000RPM in a linear range 1000 by 1000rpm. When both buttons are pressed the same time, the actual RPM is saved in the memory and the simulator will start from this point when restarted. A check with a cheap DSO138 oscilloscope that I strongly suggest to buy if you are a bike mechanic. Double check your PCB for no shorts or breaks. REMOVE the LCD display and ALL ICs from the board. 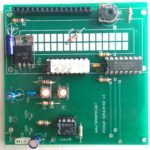 Connect the 3 power wires: Ground | -9 to -15Vdc | +9 to +15Vdc. The power voltage will determine what maximum output range it gives. PIC: pins 14,5 DAC: 1,3,13,15 AOP: pins 7,4 and LCD support: pins 1,2,15. Power off then ONLY insert PIC16F628. RB7 (pin13) goes high (+5v) for 1sec 2 times, then finally remain low meaning the programming is correct. 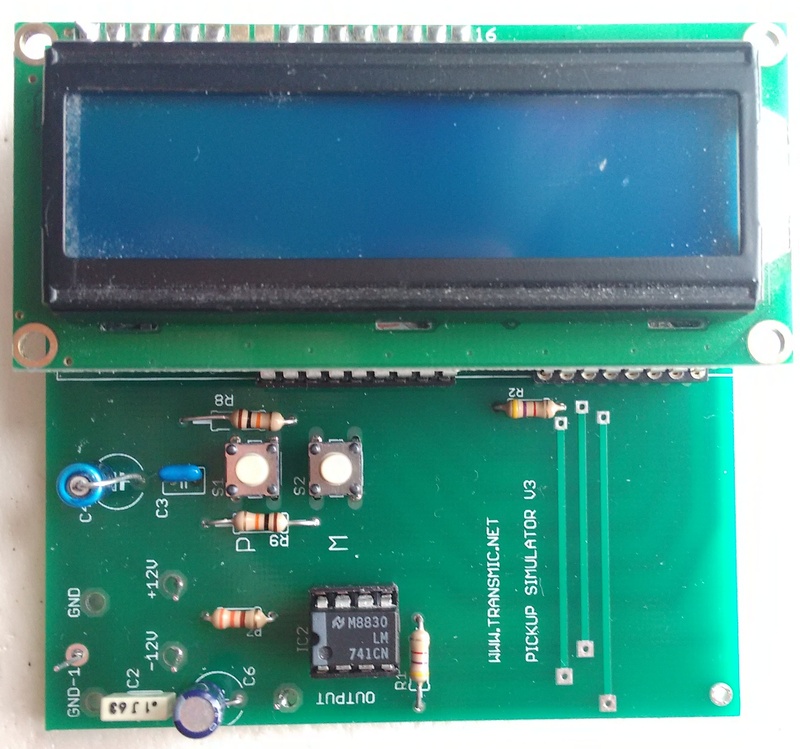 Power off and insert the DAC0800, the AOP and the LCD display. 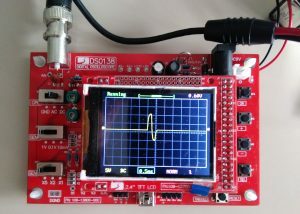 If you don’t have a oscilloscope, you can connect a LED between the output and the ground. Power On. This Led will be off until you have selected the polarity (+/- or -/+) afterward the led slightly bright. A multimeter will still show 0 volt DC between output and gnd. Only a oscilloscope can show you the pulses. [soft] Use pin13 as a programming checkup. [soft] 300 to 30 000RPM in a logarithm scale. [soft] 1000 to 30 000RPM in 1000rpm steps. [soft] 1000 to 30000RPM in 1000rpm steps. [soft] A push on any button stop the sweep mode. [soft] Range: 1000 to 20000RPM in 500rpm steps. [soft] Range: 1000 to 12500RPM in 250rpm steps. Building a pickup simulator and in the setup it says one can use 9 to 15 volts (dual supply) so I use 2 x 9v batteries. How can I set this pin to 10v when I only have a maximum of 9? I tried to clarify that above. The DAC can operate from -Vref to +Vref. 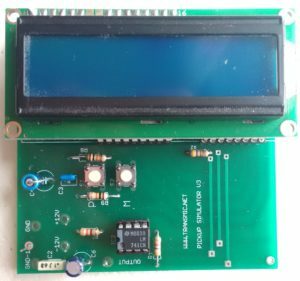 DAC0800 is a 8bit converter, meaning 256 steps. Each step size is Vref/256. When the PIC output is 11111111, the output tension of the simulator is Vref then 10volts. It works, you just have a smaller range of voltage. I built a pickup simulator. The image can not be attached, so the URL to the image is shown below. The software is freeware ver 2.2. When I press the button and change the rotation speed, it is displayed on the LCD, but the output does not change why. The pulse width of the output pin and the pulse width remain about 16 ms. There is no problem with the polarity selection of the pickup, and it can be checked with the oscilloscope that the waveform also has the polarity selected. I tried various investigations including mistakes in wiring, but I do not know what is wrong. I used DAC is DAC0800 , not DAC08EN. Is it not working properly unless it is DAC08EN? It should work with both! The wave looks ok on your scope. Focus on MSB (pin9 of PIC) with the scope looking if period is changing according to the LCD display. I checked it again, but the problem was not found. Subsequently, I probed the 9 pin of PIC and confirmed that a waveform will be generated after edge selection with the push switch. The state of each pin immediately after turning on the power supply is as follows. When an edge is selected in this state, a waveform appears. As a pocket type logic analyzer will arrive today, I will use the analyzer to examine the signal between PIC and DAC. I will contact you again. pin9 is not supposed to stay HIGH, at least for 1second but on normal working it’s not a steady +5v !! Set a 1000rpm you must measure 60ms between 2 pulses going out of pin9 (MSB) then change to say 4000RPM and you must read 15ms on your scope. I checked the waveform with a logic analyzer. The snapshot is uploaded to the following URL. Waveform timing does not change at 1000 RPM and 2000 RPM at all. RB 3 (9 pin) of PIC is basically Hi level. As a precaution we had programmed 2 PICs, but the same result. The program software is MPLAB IPE v 4.05. I am pleased if you give me advice. Thanks to your snapshot, I think I found a mistake in v2.2.HEX ! The interval between the waveform and the waveform has now changed, but there is still a problem. Waveform generation timing is later than specification. The faster it gets faster, the greater the deviation. I uploaded an additional snapshot. At 1000 RPM (60mS), the waveform interval is 75mS which is 1.25 times. At 2000 RPM (30mS), the waveform interval is 45mS which is 1.5 times. At 20000 RPM (3mS), the waveform spacing is 18mS which is 6.0 times. At 30000 RPM (2mS), the waveform spacing is 17mS which is 8.5 times. Every time the rotation speed increases, it is getting late. I think that there is a problem with loop processing in the program. Would you please verify the program once more now. Exact there was a problem during the loop!! Please reload the new v2r3c1 on the web page which is much more accurate. Thanks for this good feedback Koshi ! Is this correct? I get no display at all and don’t know if it’s my lcd at fault or if it is a software problem. I am getting some pulses out of the unit but these don’t rise above 0 volts. (Suspect my Velleman pocket scope is on the blink!) I will check this with my bench scope tomorrow. I don’t know MPLAB ICD2, it’s probably a WARNING, not a ERROR ! Have you compare the checksum and the word bytes? Done all the steps I described in “First use” section? Did you check RB7 at startup? There are no output pulses until you have selected polarity edge. Hi Theirry, thanks for the quick response. You’re right, it was just a warning. I tested oh pin 13 on the pic and got no pulses so I rewrote the software onto the chip and I also found that my lcd (not compatible and connected with 16 wires) was not working, found another lcd in my spares box that was pin to pin compatible but 4 rows.. Installes it and everything worked great! Many thanks for a really neat project. Hi Thierry, the simulator is working fine but the out put pulse is only 1.1 volts peak to peak, any ideas ? Hi, output connected or not? Tell everything pls. Output on air, the range is the same as the range of the power supply. If powered by +18Vdc and -18Vdc the output is around the same. If you don’t comply to the part list don’t ask for help. I think the schematic is wrong. I also had this problem; but with 3v pulse output and DAC0800 getting hotter than I’d expect. I added a 4.7k resistor in series with Pin 14 from R5 wiper which increased the pulses to 8v and made the DAC0800 run much cooler. I am not sure why I don’t get the full 10v, but perhaps there needs to be some more modifications. 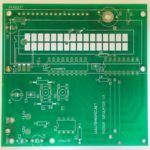 You are right about the datasheet so I have corrected both SCH and PCB in version 3.5c2 available from now on.